Are There Startling Reasons You May be Way Too Clean? Inside: Are we keeping our homes way too clean? It appears that may be the case with the rise in super bugs and allergies. It may be time to return to soap and water. 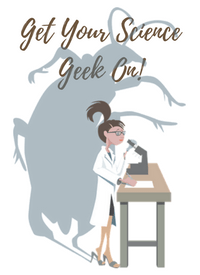 As a society we are conditioned to kill microbes – 99.9% of them to be exact. Microbes are bad – right? All of them are dangerous pathogens. We have been conditioned through media and history to believe this. But, are households and companies wasting valuable resources on harsh, powerful cleaners to meet that 99.9% kill rate? Are we creating some even more dire consequences for our health through this obsession with clean? 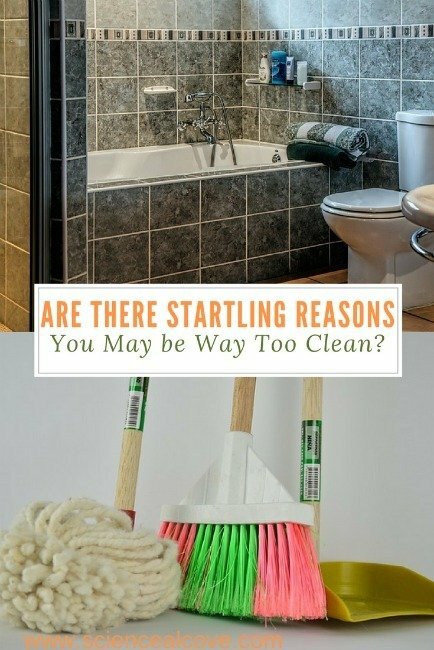 Is it possible your home may be way too clean? This involves conditions and practices that help to keep up health and prevent the spread of disease (WHO). This involves keeping your home free from dirt, stains or other impurities. How do we typically realize these goals? And more importantly, what have been the repercussions of our obsession with clean? To answer these questions, it is helpful to look at the human design. We are made up of trillions of cells. But in fact 2% to 6% of our body weight is composed of cells other than our own. We have significant bacterial populations which are vital to our health living symbiotically within us. In fact, these bacterial cells outnumber our own by about 10:1. You may be asking, ‘What does this have to do with my cleaning routine?’ It relates a lot in fact. The last decade has seen a significant rise in super bugs. It is strongly suspected that antibacterial soaps and other harsh cleansers, which indiscriminately wipe out many microbes – the good and the bad – share a good part of the blame. cloths (microfiber cloths). Her study concluded that there was no significant difference in bacterial and fungal loading between the two methods. In other words, cleaning with microfiber cloths was just as effective at removing these microbes as the harsh chemicals. Her literature review suggests that for ordinary domestic or commercial cleaning, using fiber cloths paired with thorough drying or with the use of common soap with rinsing and through drying gives results equal to the use of harsh chemicals in removing those microbes. 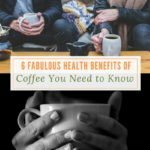 These effects impact not only health at home but may be contributing to absenteeism rates at work. Soap and water won’t kill the bugs but it is a time-tested method for removing the critters from hands and surfaces. 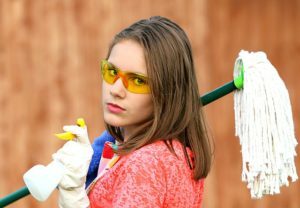 So what is the best approach for home cleaning? According to Henry and other studies, good old soap and water paired with the use of microfiber clothes is a practical and safe method. Studies are pointing to a simple cleaning regimen as healthier overall for all of us. And the simple approach is often the most economical one as well. Ideally, you want to improve your health, reducing sickness, as well as keeping your home clean and spotless. 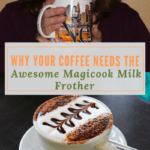 The use of a greener, more simplistic and thus economically softer choice is the way to go. So, are we keeping our homes way too clean. For most of us the answer is probably yes! 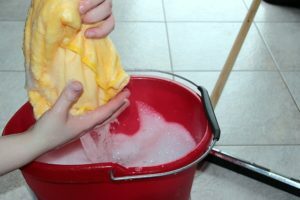 Good old soap and water appears to be the practical choice as well as the safest method to keep your home clean enough. 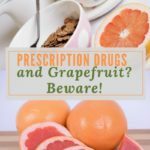 Prescription Drugs and Grapefruit? Beware! 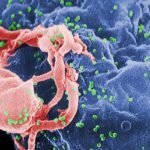 Has an HIV Vaccine for all Strains Really Been Developed? 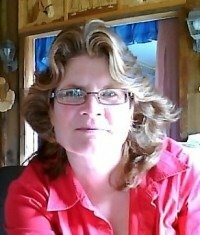 Thank you Lois, I’made happy to hear you are finding my blog helpful and interesting! I will certainly never be accused of obsessing over a clean house! LOL! 😆 But I’ve said for a long time that those harsh chemical cleaners had to be doing more harm than good. Yes Linda, with two dogs, three cats, and kids and living in the country I also will never be accused of having a pristine house, lol. But vinegar and elbow grease goes a long way!